The Smile has won an Honor Award at the 2016 Wood Design & Building Awards.It was selected from approximately 200 submissions to receive this esteemed award. 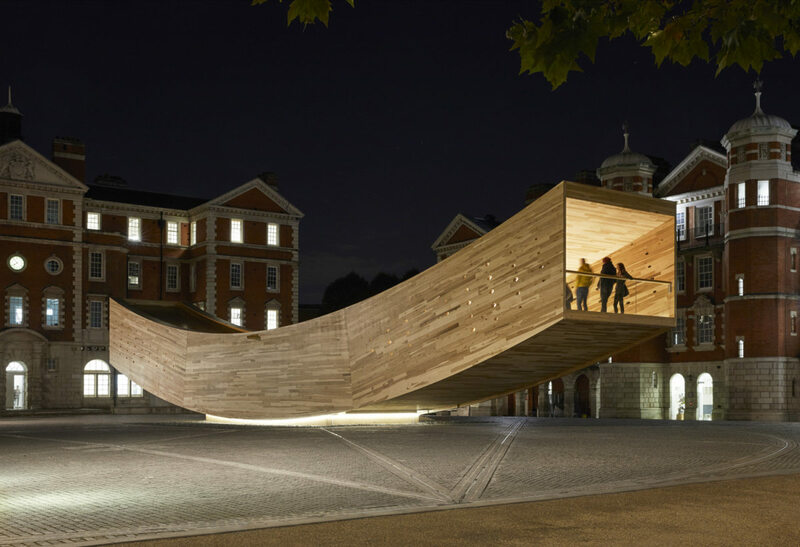 ABA collaborated with The American Hardwood Export Council (AHEC), Arup and the London Design Festival 2016 to present a cross-laminated tulipwood structure, ‘The Smile’ at the Chelsea College of Art Rootstein Hopkins Parade Ground. The Wood Design & Building Awards celebrate international and North American projects that embody the essence of innovative wood design. Winning projects are hand selected by a prestigious architectural jury, consisting this year of Peter Bohlin- principal at Bohlin Cywinski Jackson, Patricia Patkau- principal at Patkau Architects and Brian Court- partner at The Miller Hull Partnership. Special awards were granted by the Canadian Wood Council as well as this year’s sponsors, Sustainable Forestry Initiative, Western Red Cedar, and Sansin.